SPDA is proud to host the 12th annual running of the LANARK HIGHLANDS FOREST RALLY on May 3-4, 2019 – Round 2 of the Ontario Performance Rally Championship (OPRC). The event is also part of the ECRC. Headquarters for 2019 will be based at the Agricultural Hall in the village of McDonald’s Corners, Lanark County, ON. E-transfers for entry payment can be sent to thomas.mccabe@live.ca & note which team the payment is for. 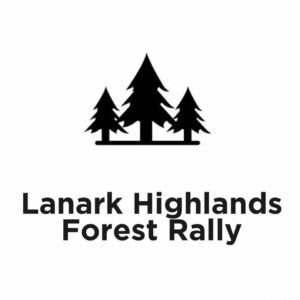 Information can also be found on the Lanark Highlands Forest Rally Facebook page @LHFRally & feel free to message us through there as well. All stages will be within the Umphersons Mill Rd/Lavant Mill Rd/Ranger Camp Rd complex. A combination of these roads plus a short section of Gemmils Road. Please contact our Volunteer Coordinator via email – LHFRvolunteers@gmail.com if you can help out at the event. We will need some people on the Friday to help oversee recce & event set up, but the majority of help will be needed on Saturday. Thanks in advance! This year we are running a number of initiatives to enable us to give back to the local community. The Lanark Highlands Food Pantry and the Lanark Highlands Youth Group, both based in the Village of Lanark, benefit from our event. We value the contributions that competitors and workers have made in years past with their financial donations and non-perishable food items, and would ask that you think of them again this year. We ask that teams bring in non-perishable food items that we can donate to the Lanark Highlands Food Pantry – these will be collected at registration/HQ. The marshals are experienced rally volunteers & are there for your safety.